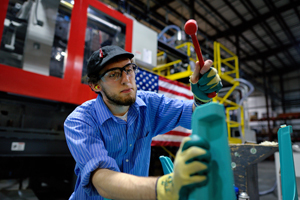 Adams Manufacturing is the region's leading custom plastic injection molder. We specialize in large-tonnage presses. And we're the premiere "Made in USA" supplier of exceptional-quality residential and commercial outdoor resin furniture and accessories. We're also a global supplier of high-quality PVC and phthalate-free suction cups. Adams' innovative products can be found in major big box, hardware and online retail channels, including Lowe's, Walmart, Ace Hardware, Do it Best, True Value, Home Depot and Amazon.com, just to name a few. Our deep industry experience and proven track record set us apart from other "me-to" plastic injection molders. 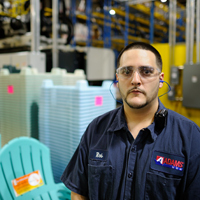 Although Adams has grown into a world-class manufacturer and established custom plastic injection molder, we cherish our small-town values and continue to think of ourselves as a "family business." With an unrelenting focus on quality, consistency and value, some of the world's largest companies put their trust in Adams. Our philosophy is simple. We treat client injection molding projects with the same high degree of precision and care that we put into our own products. At Adams, we're obsessed about exceeding client expectations. Bottom line, we do whatever it takes to earn and keep your trust.